By G1 Winner UNION RAGS ($ 1,798,800). Out of Stakes Winner Graded Stakes-Placed, Smoke Glacken Mare, ONE SMOKIN’ LADY ($283,620). Half-sister to KROY, 2nd in the G2 Mathis Brothers Mile S. at Santa Anita Park. 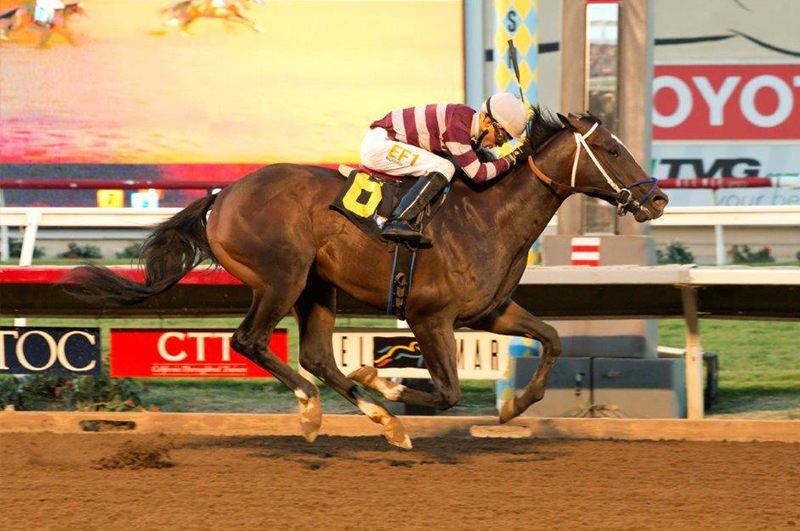 “SMOKEM is one of the best individuals I have ever trained, I think he was the best Cal-bred colt last year, ran second in four stakes in a row and was unlucky to lose his last race.” – Garry Sherlock.